Allow me a few sentences and I will tell you what that other word is! I promise. Imagine that you are sitting in your office, logged onto your computer when the emails start arriving and the phone starts ringing. Some of your co-workers at a manufacturing location are worried about one of their colleagues who has been acting strangely. They worry that he may come in one day and “go postal” (see explanation * below) and they don’t know what to do. They don’t know who to tell. 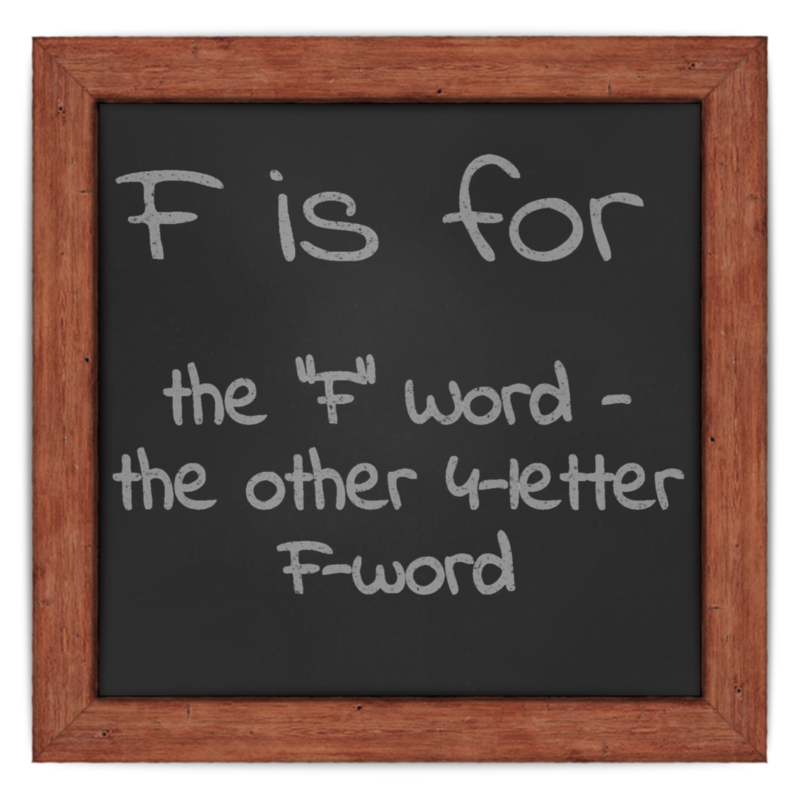 The other F word is FEAR! You agree to meet with them after hours, off campus. Six of them show up and tell you how bad things are. The words LACK of trust keep coming up. But FEAR is the biggie! An intervention is called for and you reach out to a psychologist you know and have worked with before. He specializes in industrial situations and is truly spectacular. Turns out they were afraid of the people they supervised. FEAR was everywhere! And it was palpable. A series of workshops about teamwork began to break down barriers. People began talking to each other…and listening. It became an on-going process. Progress was slow but it was progress. And the employee people FEARed would go postal. He didn’t. And the FEAR was unfounded. He was as worried as everyone else! Any FEAR where you work? What will you do about it? * “Go Postal” is a reference to an actual event that took place in the USA when a post office worker brought a gun to work and shot a number of co-workers. Sadly, the term has become part of the vernacular. I define trust as the absence of fear and fear as the absence of trust. Thanks James. I really like your definition! Well said! It seems that we are so enamored of great companies and great leaders that we allow those who pursue greatness to skip the step of being good companies first. fix the good company part, then see if they really can be great. Many will fail because good companies require a special kind of aspirational and gut driven leadership as well as a great business concept. The ingredients of goodness (maybe also of trust) are: apology, authenticity, candor, civility, decency, empathy, engagement, honesty, humanity, humility, openness, responsiveness, transparency and truthfulness. A year ago, a list like this would have been laughed out of any business gathering or journal. The ongoing current uprising of assault victims may be the catalyst for making some goodness progress. It’s then up to truly good business and other leaders in our society to speak up and act up. Goodness is the work of leaders and leadership. Think of it as victimization prevention. And I call that wisdom!